Priyanka’s golden avatar at the Golden Globes is a visual treat! Priyanka looked every bit a queen in that golden gown and was unarguably one of the best dressed. Priyanka Chopra is all set for her Hollywood debut with 'Baywatch' alongside Dwayne Johnson and Zac Efron (Phot credit: HFPA). Mumbai: Priyanka Chopra marked her debutat Golden Globe Awards on a glittering note by choosing a ‘hand-embroidered’ golden Ralph Lauren gown with a plunging neckline for the event. The 34-year-old ‘Quantico’ actress teamed the outfit with a statement neck piece. Priyanka, who normally opts for a clean hairdo, took a chance by leaving her hair open. She, however, stuck to her trademark bold lips. "Collection gold, one-of-a-kind hand-embroidered evening dress. 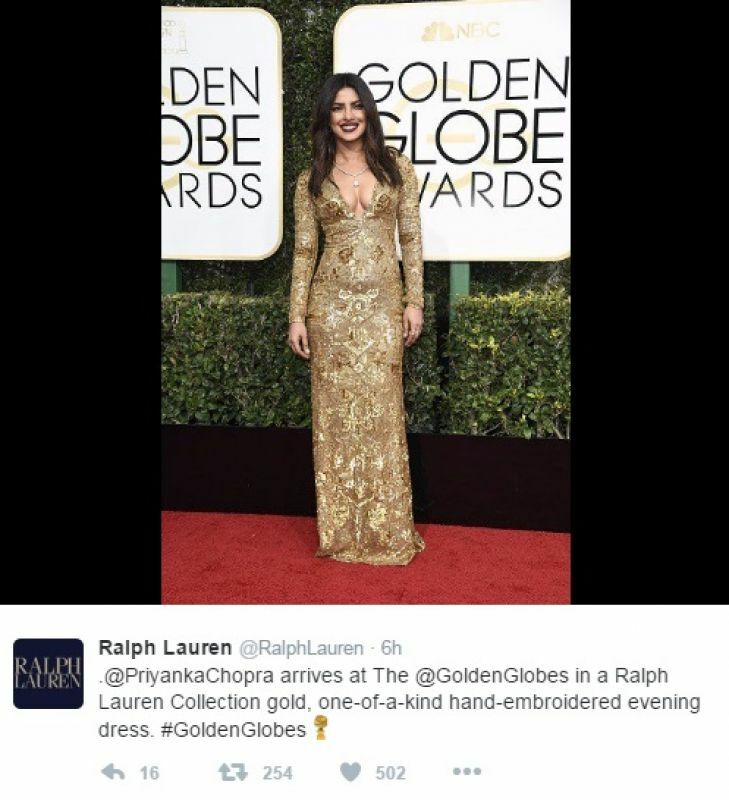 #GoldenGlobes," read a post on Ralph Lauren's official Twitter page. The actress took to stage along with Jeffrey Dean Morgan at the Golden Globes to present an award to Billy Bob Thornton.